Santry Sport TaeKwon-Do is affiliated to the International Taekwon-Do Federation (ITF). ITF was founded on 22nd March 1966 by General Choi Hong Hi, the Father of Taekwon-Do, to promote the teaching of this martial art around the world. At that time, nine countries were involved: Korea, Vietnam, Malaysia, Singapore, West Germany, USA, Turkey, Italy, and Egypt. Taekwon-Do is now taught in almost every country around the world, and General Choi is recognised as the Father of Taekwon-Do. 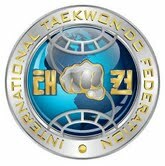 For further information on the International Taekwon-Do Federation (ITF) please click on the ITF logo on our homepage. Practitioners of Taekwon-Do recognise that they are forever students of our Founder, General Choi Hong Hi. The ITF and its affiliated organisations will strengthen and promote the legacy of General Choi as described in his Encyclopaedia of Taekwon-Do, notably the twenty-four patterns and the philosophy.The ITF belongs to all its members; it must work for its members and with its members to provide the services they need and require.